High Capacity Color Cartridge HP 301XL (CH564EE) lasts for approximately 330 pages. Includes blue, red and yellow. It is designed for the HP Deskjet 1050, HP Deskjet 1510, HP Deskjet 2050 and HP Deskjet 2050s. Color Ink Cartridge HP 301 was developed to provide user-friendly features at a low price. Save for frequent printing with this high capacity color ink cartridge. Convenient features make it easy to print and include technology to complete the printing of important documents even with low levels of a particular ink. For shipping to other EU countries visit this page HP CH564EE no. 301XL . Chcete doručit zboží do Česka? 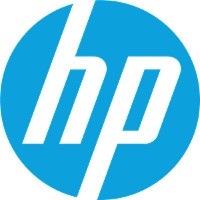 Prohlédněte si HP CH564EE č. 301XL barevná. Chcete doručiť tovar na Slovensko? Prezrite si HP CH564EE č. 301XL. Magyarországra történő kiszállításért tekintse meg ezt a termékoldalt: HP 301XL (CH564EE).